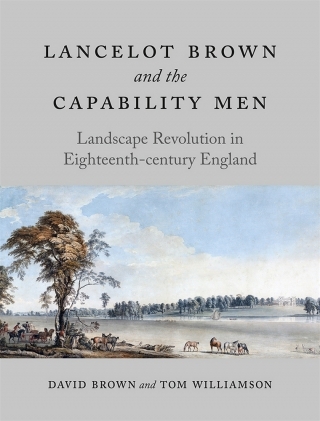 Lancelot ‘Capability’ Brown is often thought of as an innovative genius who single-handedly pioneered a new, ‘naturalistic’ style of landscape design. But he was only one of many landscape designers in Georgian England, albeit the most commercially successful. Published to tie in with the tercentenary of Brown’s birth, Lancelot Brown and the Capability Men casts important new light on his world-renowned work, his eventful life and the business of landscape design in Georgian England. There is no evidence that Brown actually invented the style with which his name is now so closely associated – it was simply the style of the times. He was the head of a complex business that could supply clients with a whole design ‘package’, which included new greenhouses, kitchen gardens and land drainage schemes. This innovative book investigates the nature and organization of Brown’s business, and draws insightful comparisons with similar providers of ‘taste’ such as the Adam brothers, Thomas Chippendale and Josiah Wedgwood. Illustrated with over 120 images, this beautiful book shows that Brown’s style, like the organization of his business, was the product of a distinctly modern world. David Brown is Tutor of Landscape History at the University of Cambridge. Tom Williamson is Professor of Landscape History at the University of East Anglia. His books include Polite Landscapes: Gardens and Society in Eighteenth-century England (1998).